Weather Indicator is an Ubuntu appindicator that displays the current weather. 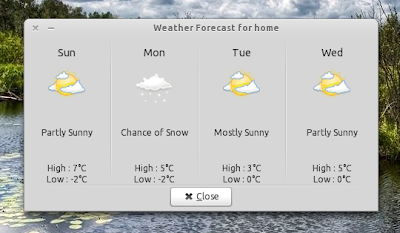 Its development stopped a while back and the PPA was removed but Vadim Rutkovsky brought Weather Indicator back to life - for the past two weeks he's been fixing bugs for the old Weather Indicator and also, he has created a new PPA for easy installation. 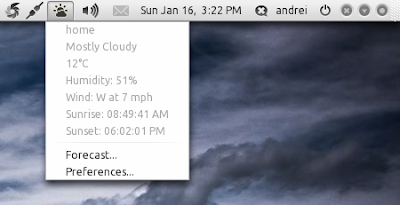 Then you can start the initial setup assistant by going to System > Preferences > Weather Indicator Preferences. Remember to submit any bugs you may find @ Launchpad.